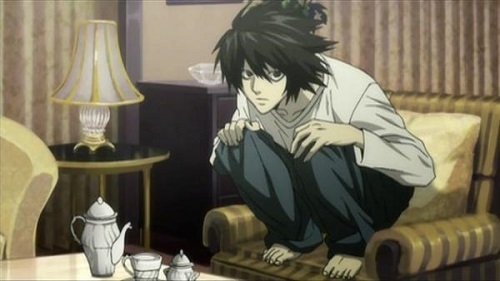 Once a Death Note enters the human world, things get crazy. Some see it as a tool, embracing its power in the name of "justice" while others view it as a horrific weapon and those who use it as criminals. But it's much more complicated than "good guys" (anti-Death Notes) and "bad guys" (pro-Death Notes). Our Death Note list separates certain characters into various "teams," "factions," "groups," etc. Where do you affiliate yourself? Disclaimer: This isn't a complete list of characters, just all the main and important secondary ones that have a sustained, recurring role in the anime. Light's name is no coincidence. One of the many translations of "Lucifer" -- you know, the Devil, Satan, God's nemesis etc. -- is "light-bringing." 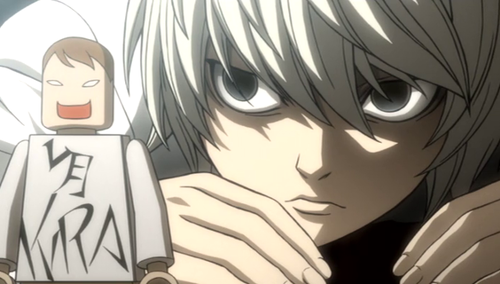 In Light's case, the "light" he's bringing is his own form of vigilante justice -- all with the help of the Death Note. After Light obtains this book and discovers its powers, Light reinvents his whole life, adopting the role of Judge, Jury and Executioner in an effort to cleanse the world of evil. From the ashes of the old world, Light plans to rise as the new "god," a rather impressive endeavor that gets him dubbed as "Kira." He's good at what he does too, because he's kiiiiiiind of a genius. 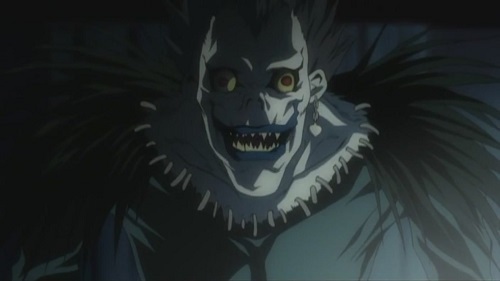 Ryuk is the reason why there's even an anime/manga (or a Death Note characters list, for that matter). He's the Shinigami who "dropped" his Death Note into the human world because he was bored. 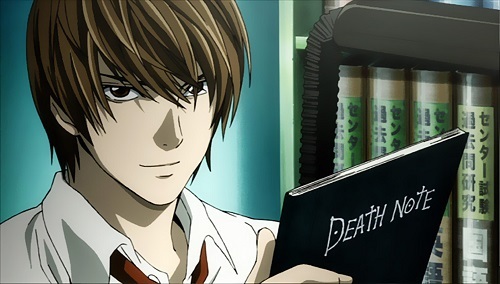 Once Light obtains the Death Note, Ryuk wastes no time and introduces himself to its new owner, providing certain details about the book so Light would start using it (read: to begin the "entertainment"). From there, Ryuk adopts the role of "innocent" bystander, refusing to help, offering limited tidbits of information only when it best serves him. Oh, and Ryuk loves apples. Misa suffers from "I'm obsessed with Light and want to be with him forever" syndrome. This girl -- a famous model, singer and actress -- just so happens to get her hands on another death note. It's rather appropriate that she just so happens to have a thing for Kira, too. 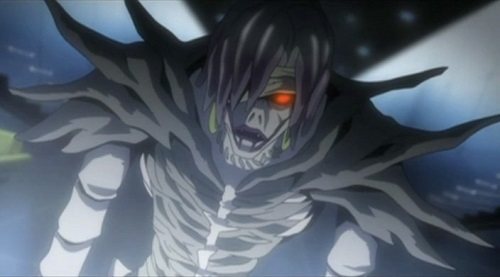 Rem, a Shinigami, is one of the many Death Note characters who gets caught up in Kira's "revolution." She, unlike Ryuk, gives a death note to someone (as well as a special gift) for an honorable reason. Plus, Rem, also unlike Ryuk, cares deeply for the human she travels with. 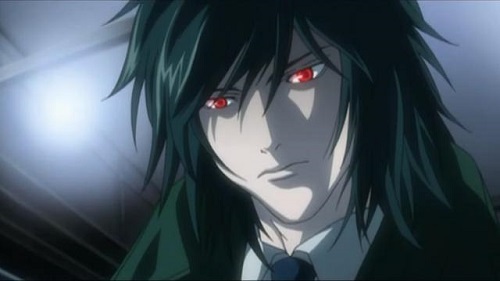 Teru Mikami was essentially born to one day become Kira's pawn. Having a strong sense of justice ever since he was a kid (later becoming a prosecuting agent so he could "punish" criminals), it was only a matter of time. There are few Death Note characters who worship Kira like Teru does. He even calls Kira "Kami," meaning God. By day, Kyousuke Higuchi is the head of Technology Development at the Yotsuba Corporation. By night, he's one of the eight members of the Yotsuba Group. Kyousuke gets involved in all of the craziness because Kira needed someone "greedy," "forceful" and "selfish" who yearns a higher status in society. Kiyomi Takada is essentially the "calmer" version of Misa, seeing as she was Light's former college girlfriend. 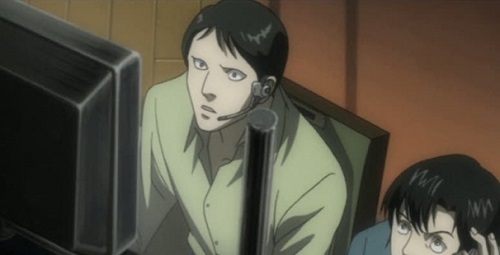 In fact, a rivalry inevitably forms between these two Death Note characters. But she's not just "the girl who was Light's girlfriend." Light later convinces Kiyomi to become Kira's spokeswoman on the NHN TV station. Light didn't need to do much convincing, though. Takada loves being the center of attention, believes in Kira's mission and still has a thing for Light. Win-win-win. Someone who takes on Kira has to be cunning. And L is definitely cunning (and more). In fact, two of L's other aliases are regarded as the second and third best detectives in the world. L is a highly secretive dude. In fact, he's only showed himself to a few Death Note characters in the Japanese Task Force. 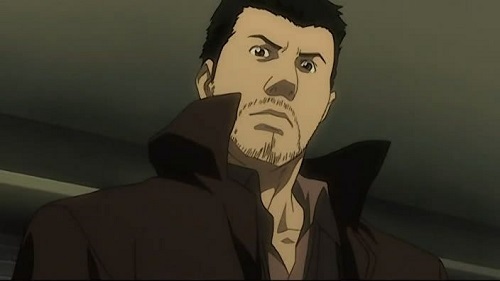 Before joining, L only communicated through his assistant Watari (via a computer that showed a capital "L" in Cloister Black font over a white background). L may have some strange quirks (he crouches rather than sits, only holds things delicately and loves eating sweets) but he's highly deductive, insightful, meticulous, and analytical. Did we say he loves sweets? 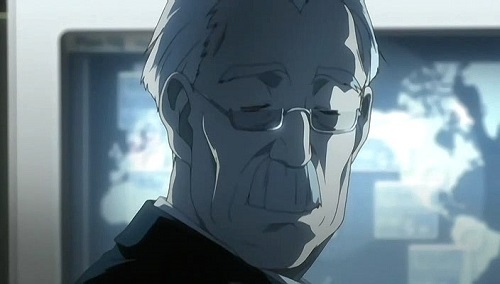 Watari is to L like how Alfred is to Batman. Watari is both a fatherly figure to L and is his assistant (pfft! we'll call him L's butler). 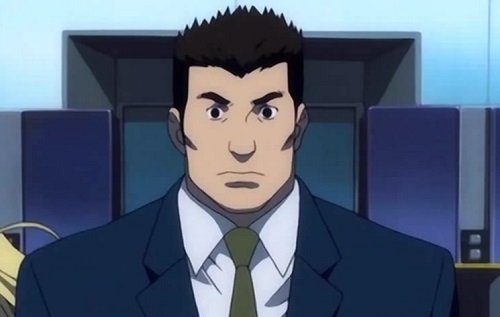 The difference is that Watari is hella more badass than Alfred, being well trained in espionage and marksmanship. Watari also communicates like L does via computers - except, for obvious reasons, with an Old English "W." Before joining the Japanese Task Force, Watari was the only person who'd ever seen or communicated directly with L.
One of the first big "Oh, man!" 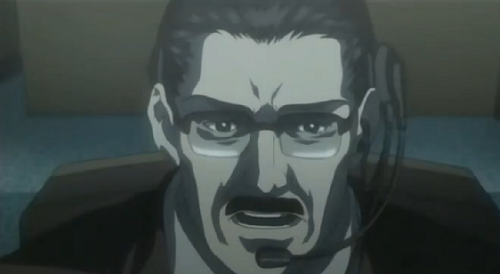 moments is finding out that Light (who's essentially a criminal) is the son of Souichirou Yagami, Chief of the NPA. Conflict! 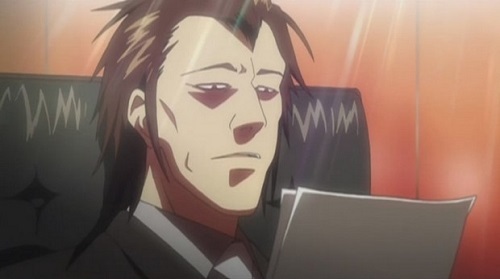 What's so devastating about Souichirou is that he adores his family and is known for his high moral standing, gaining him the respect of many Death Note characters. What's even more devastating is that Souichirou fiercely believes Light is innocent and has even gone to some ridiculous lengths just to prove it. Shuuichi Aizawa has always regarded L begrudgingly, preferring to work within the law (which he'll always stay within ... no joke). As a family man, Shuuichi's not one for crude humor or immaturity, which is why he's never really been a fan of Misa. 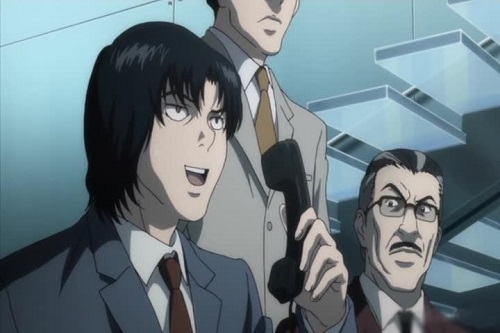 It's safe to say that Touta is the loudmouth of all Death Note characters. He's easily excitable and oftentimes adorably naïve. Touta is also somewhat lacking in the skills department, which sometimes impedes investigations. Despite these idiosyncrasies (failures? ), Touta is more philosophically inclined than his colleagues. 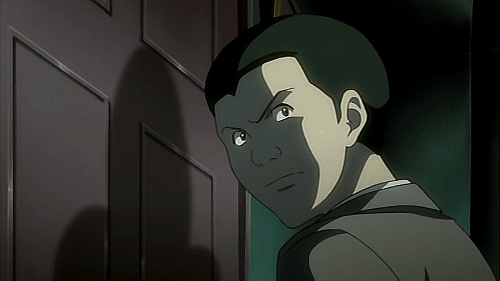 While everyone views Kira as an outright criminal, Touta's opinion lies in a "grayer area"; he sometimes wonders whether Kira's actions are good for mankind and feels sympathetic, even somewhat supportive, towards Kira's followers. If Touta is the most outspoken of all Death Note characters, then Hirokazu Ukita is the emotional guy. And that's not emotional as in "emo," but emotional as in he acts on instinct. Mix that in with Hirokazu's unwavering determination and bravery, and you've got someone who will jump into the unknown headfirst. And he does. Kanzo Mogi is one quiet, reserved SOAB. In an amusing comedic twist, he's actually a very enthusiastic and convincing actor. The difference between his subdued behavior as Misa's manager, and occasions where Kanzo uses 'acting!' to immediately become enthusiastic is hilarious. You couldn't get this guy to talk even if you tried. Unless he's your manager. Hideki Ide left the Japanese Task Force almost immediately after L joined the fray. But he does return later. 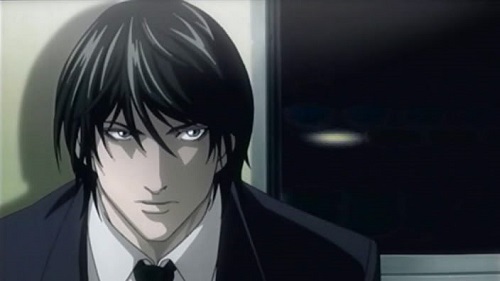 Hideki has deep bonds with various Death Note characters, including Aizawa, and trusts Light more than anyone else on the Japanese Task Force ... except, of course, for Light's father. There's something about L and his two successors having intense obsessions with certain things. While L has an affinity for sweets, Near has a rather amusing interest in toys, which he uses to come up with strategies. 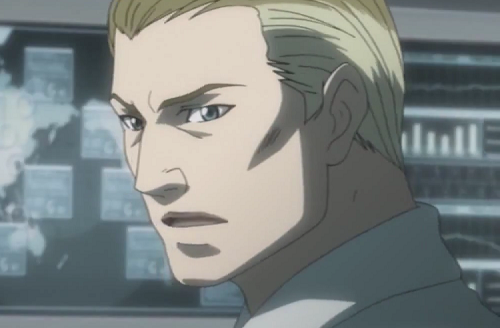 And Near needs all the help he can get; he's the head of SPK (Special Provision for Kira). Near has adopted some of L's rather strange behavioral ticks, too. Neither enjoy sitting. However, while L crouches, Near hunches over. Near also likes to play with his hair nonchalantly. Heck, Near is quite near to L in many ways. Near greatly respects L, employs many of his methods and even presents himself via computers with the letter "N" in Wedding Text. Anthony Rester is Near's go-to guy: he's SPK's second in command and leader of operations. The two also have a strong relationship. Anthony seems to care deeply for Near, and Near appears to greatly trust Anthony, seeing as there are many things Near only tells Anthony. Halle Lidner is a badass. She's a former Secret Service and CIA agent, and she only joined the SPK to avenge a close acquaintance who was killed by one of the Kiras. Halle is also kind of a double-dealing backstabber. But it's to satisfy her vengeance, so it's okay, right? 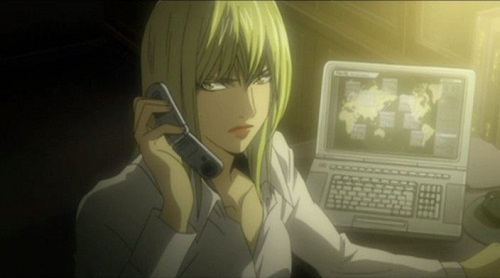 While she works for Near, she also leaks information to L's other successor, Mello. But it's more complicated than that. Halle sometimes shares data with Mello that could potentially hurt him ... and she cares for Mello! She's definitely one of the most conflicted Death Note characters. Stephen Gevanni is one of Near's greatest assets: Stephen can pick locks, follow suspects, investigate thoroughly and forge writing. Plus, he's immensely loyal to Near and trusts him deeply. Mello is the older of L's two successors and hates those who are better than him. Heck, he turned against Near when it was decided that Mello should work with him. Despite being Near's senior, Mello is quite brash (unlike Near), normally acting on impulse. 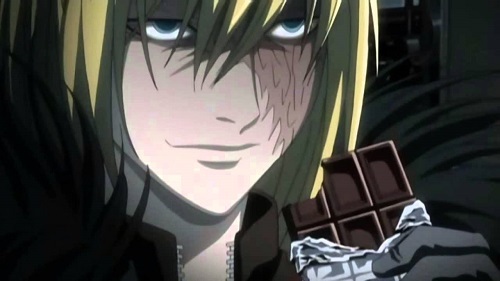 Oh, and Mello is a lot like L in that he adores sweets. Except, in Mello's case, he prefers a certain type: chocolate bars. Death Note is a huge franchise and a modern anime classic. You've probably watched the anime, seen the films, read the manga and light novels, and listened to the musical. But do you remember the details? Here are 20 Death Note facts you might have forgotten! Ryuuga? Ryuzaki? What Is L’s Real Name? A summary of all the information we could find on L's real name provided by Takeshi Obata, Tsunami Ohba, and the Death Note novels. Death Note is one of the most popular anime of all time and is filled with many significant moments, as well as extremely profound and memorable quotes. What follows is a list of 20 notable quotes from Death Note taken from both the subbed and dubbed versions. 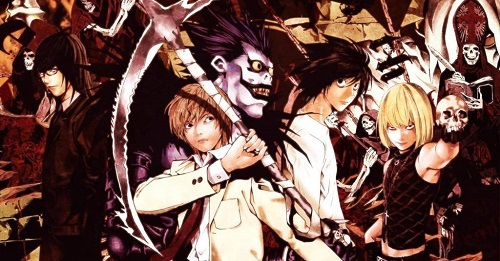 Death Note was a major hit when it was released back in 2006 and quickly became known for being an intelligent, yet accessible thriller that would be mentioned anytime anime was brought up. In case your hype for the series still hasn't died down, here are 10 similar anime! This article looks details a range of character info about One Piece's "Black Leg" Sanji. It will provide you with a small glimpse of who curly eyebrowed cook is. Below you can find some simple character details including his appearance, skills, personality and relationships with other characters.